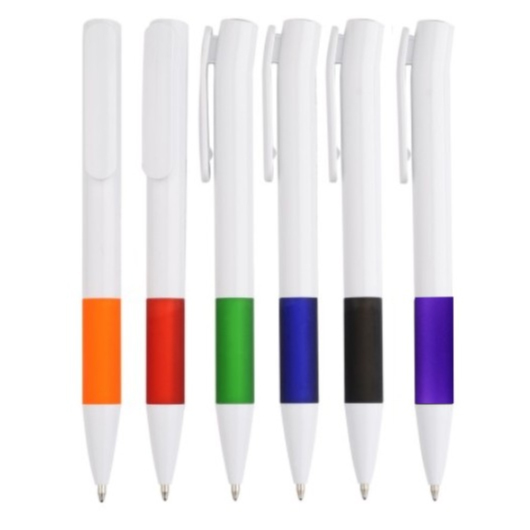 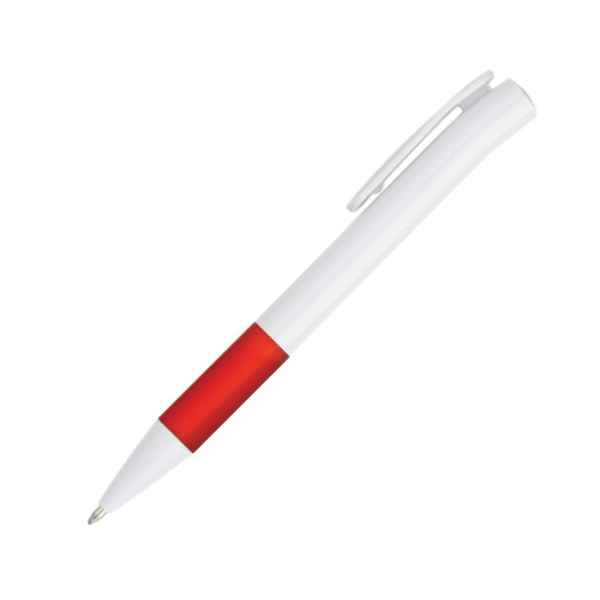 Solid white barrelled pens in a colourful rubber grips. Get the best value for your money with these colourful plastic pens. 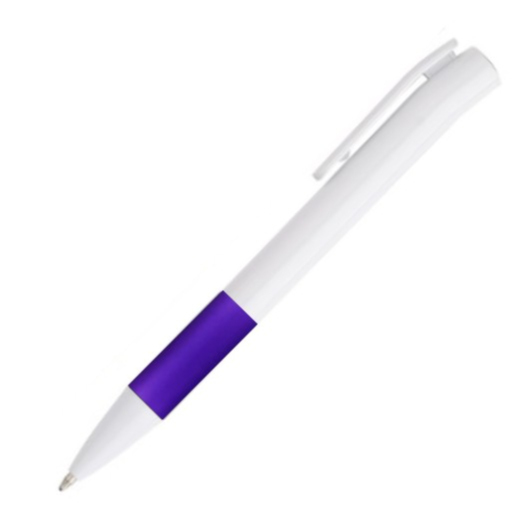 They feature a solid white barrel with rubber finished grip design. These pens utilize a twist action mechanism and are super easy to carry and store in place courtesy of their solid coloured clip. These pens are supplied with 1.0 mm slim refill.